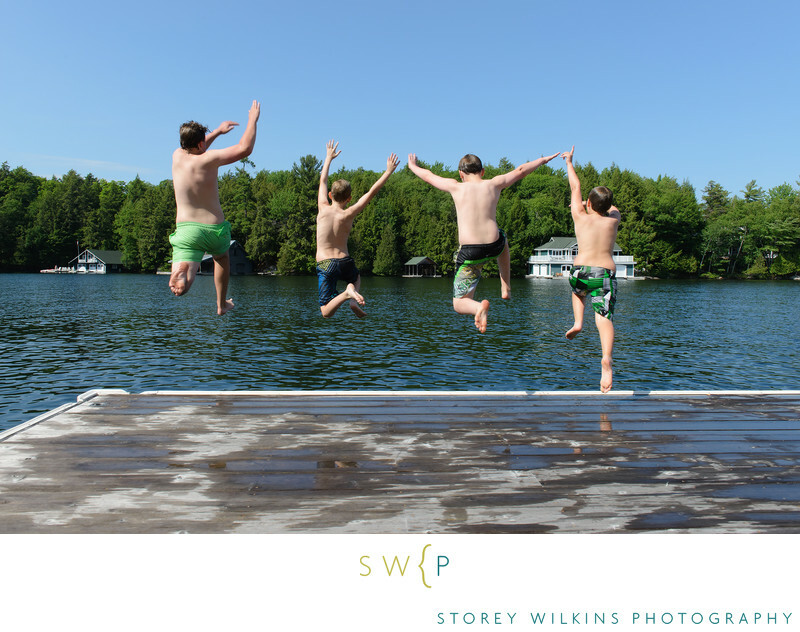 What better way to celebrate summer in Ontario than a family portrait session at your cottage? In addition to the regular portrait session fee I add a $200 travel fee to cover some of my driving time from Toronto. Once at your cottage you can expect the same level of fun and variety that I build into all of my family portrait sessions. This was taken at the very end of this multi-generation family session. A great way for the boys to cool off after a great day.